The Louisville Leopards Girls Varsity Basketball Team defeated the host Youngstown Cardinal Mooney Cardinals 62-55 late Saturday Afternoon at Cardinal Mooney High School. With their second straight victory, Louisville improves to 9-10 on the season. Erin Hahn made 11 of 12 free throws from the line and scored a game-high 21 points to lead the Lady Leopards. Sherilynn Mullett also surpassed double figures with 12 and Kayla Gibson poured in 7 of her 9 points in the fourth quarter. The Cardinals pulled out to a 16-11 advantage at the end of the first quarter. 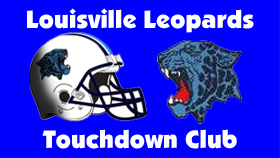 Louisville tripled Mooney’s total in the second quarter 18-6 to take control of the contest. Hahn dropped in 10 during the period to spearhead the rally. The Leopards continued to pour it on out of the locker room in doubling their 29-22 halftime advantage to 47-33 by the end of the third. The Cardinals cut the deficit to single digits in the final quarter but LHS prevailed. Mooney was led by Conchetta Rinaldi who scored a team-high 17 points. Caitlin Perry also scored 9 points and Carolyn Kay hit a pair of three-pointers and added 8. This was the first ever meeting between the two schools in girls basketball. UP NEXT: The Lady Leopards will next host the Minerva Lions on Wednesday, February 6. JV will begin at 6:00 PM and Varsity will follow around 7:30 PM. LEOPARDS: Hahn 5 11-12 21, Mullett 5 2-4 12, Gibon 3 3-4 9, Cole 4 0-0 8, Adelman 2 2-2 6, Bast 0 2-2 2, Galentine 0 2-2 2, Joseph 1 0-0 2. TOTAL 20 22-26 62. CARDINALS: Rinaldi 6 5-7 17, Perry 3 2-2 9, Kay 0 2-2 8, Hough 1 5-5 7, Scavina 1 2-2 5, Welsh 1 1-1 3, Diorio 1 0-0 2, Hergenrother 1 0-0 2, Olush 1 0-0 2. TOTAL 17 17-19 55. LEOPARDS: Adelman 5 2-4 12, Loy 4 1-4 9, Ralston 3 0-0 6, Dyer 1 0-0 3, Joseph 1 0-0 2, Leghart 1 0-0 2, Thorne 1 0-0 2. TOTAL 16 3-8 36. CARDINALS: Joseph 2 1-2 5, Rotunno 2 1-1 5, Divincenzo 2 0-0 4, Diorio 1 0-0 2, Shope 1 0-0 2. TOTAL 8 2-3 18.